The Emirates Dubai Rugby Sevens has grown into a great sporting event that attracts rugby fans from around the globe and is one of the Middle East’s most popular social weekends of the year. 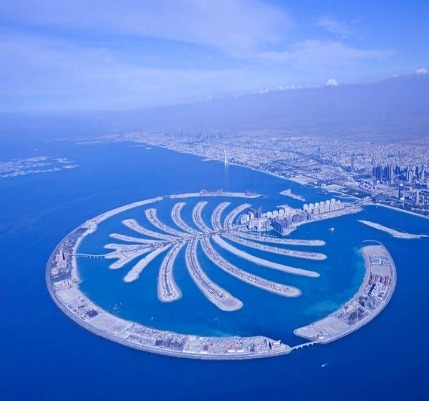 Dubai is a gleaming super-city, larger-than-life with luxurious hotels, manmade islands, endless golden beaches, turquoise seas and incredible attractions. For spectacular views of the city, travel by high-speed lift to the top of the Burj Khalifa, the world’s tallest building. Experience shopping on an unrivaled scale at vast super malls or wander through spice-scented souks in the historic Old Town. 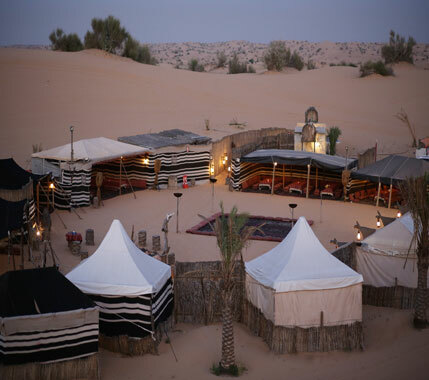 Hit the slopes of the world's largest indoor ski run or embark on an exhilarating desert safari. With direct flights whisking you to Dubai in just 6½ hours, Dubai offers rugby supporters a unique sevens tour in a land of opulence, wealth and mind-defying architecture that will never fail to impress. A great winter break ahead of Christmas, come join the party for round one of the HSBC World Sevens Series! Travel insurance, stadium transfers (free shuttle transfers are provided at the end of play to popular locations in Dubai), all meals unless otherwise stated, pre-seating charges applied by airlines & items of a personal nature. Today is free for you to relax or head out and explore one of the fastest growing cities in the world. 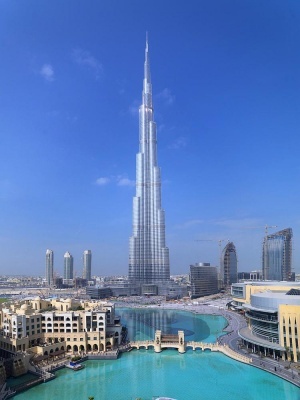 For anyone keen to explore, your first stop should be the tallest building in the world; the Burj Khalifa which has an unobstructed 360-degree view of the city, desert and ocean, making this the best place to get your bearings. A wide range of sightseeing can be booked with our local agent - Gulf Ventures. Entry to the Stadium is free today if you'd like to explore. The two-day rugby festival starts around 9.30am and carries on throughout the day. Transfers to the stadium are not included so we recommend booking a taxi both ways. You can also take advantage of the free shuttle bus service that operates from the stadium back to designated stops in the city. After a day at the rugby there are many popular clubs and bars that will offer you a warm welcome. Popular venues include Movida and 360 nightclubs, Barasti beach bar, live music venues such as Rock Bottom and pubs such as Double Decker or the ever popular Irish Village. Another full day of rugby action awaits starting at 9.30am. Today’s action culminates in the Grand Final around 9pm which is followed by the ever popular ‘Rugby Rock’ concert. Make your way back to your hotel via the free Sevens bus service. Time to pack your bags and prepare for the journey home. You will be contacted locally and advised of your pick-up transfer time to the Airport. 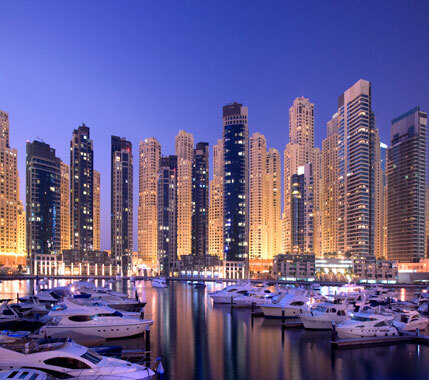 Depart Dubai on your flight to Gatwick, arriving the same day. 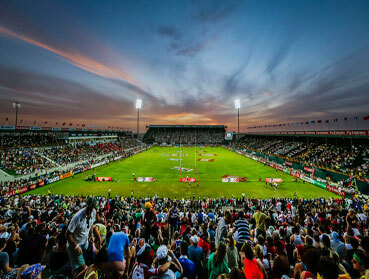 From humble beginnings 45 years ago, The Emirates Airline Dubai Rugby Sevens has matured into a wonderful event that attracts fans from around the world. The Dubai Sevens Stadium is located 30-40 minutes’ drive inland from Dubai City or the beach areas of Jumeirah amd Jebel Ali. The stadium offers excellent facilities that uphold the traditions of the original venue in that the stadium is purpose built each year and becomes the largest temporary stadium in the world. There are lots of food and drink outlets open during the event, with sponsors Heineken ensuring the beer keeps flowing. Free shuttle bus transfers operate from the stadium to selected locations at the end of the day, however we would recommend booking a taxi in advance as large queues will form. 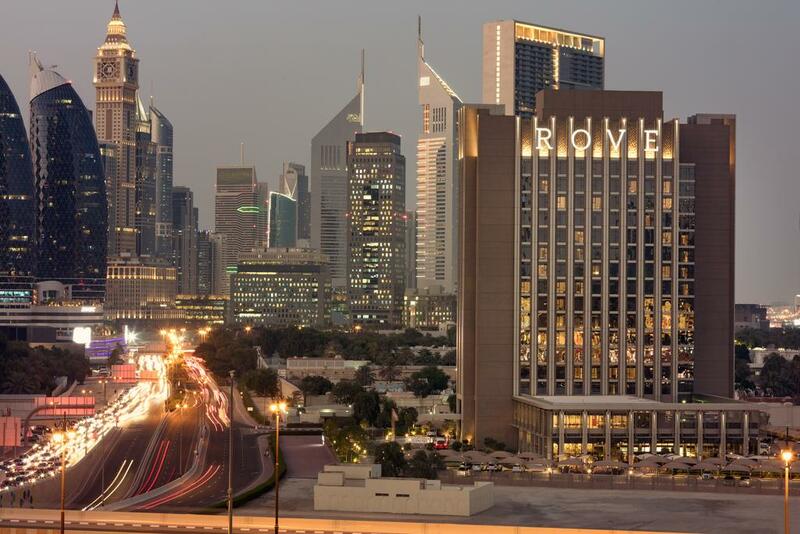 Featuring an outdoor swimming pool and a sundeck, Rove is located in the heart of Downtown Dubai, adjacent to Burj Khalifa and The Dubai Mall. Hotel rooms are spacious and well equipped. Hote facilities include free WiFi, late checkout at 14:00, a 24-hour gym, sundeck, a laundromat and boutique convenience store. 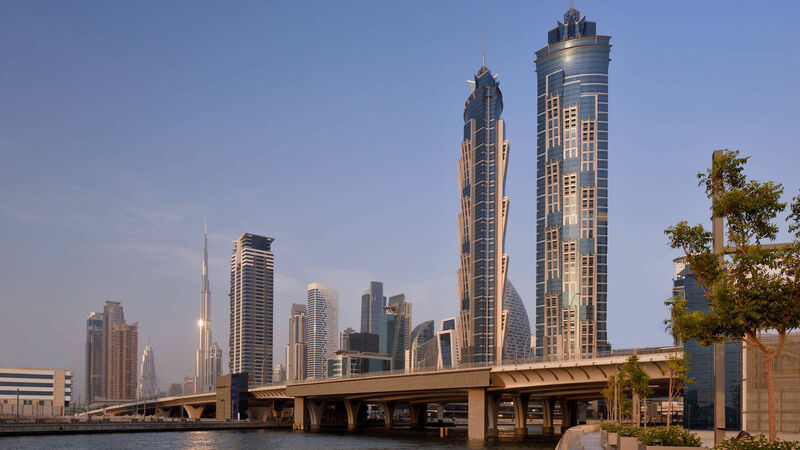 Restaurants include The Daily Downtown Dubai which is the perfect spot for a leisurely breakfast, lunch or dinner, a quick bite, or takeaway whilst admiring great views of Burj Khalifa. Chock-full of flavour and wholesomeness, Arabic, Western, Indian and Southeast Asian cuisines feature on the all-day menu. Dubai International Airport is a 20-minute drive while Burj Khalifa Metro Station is only a 4-minute drive from the hotel. 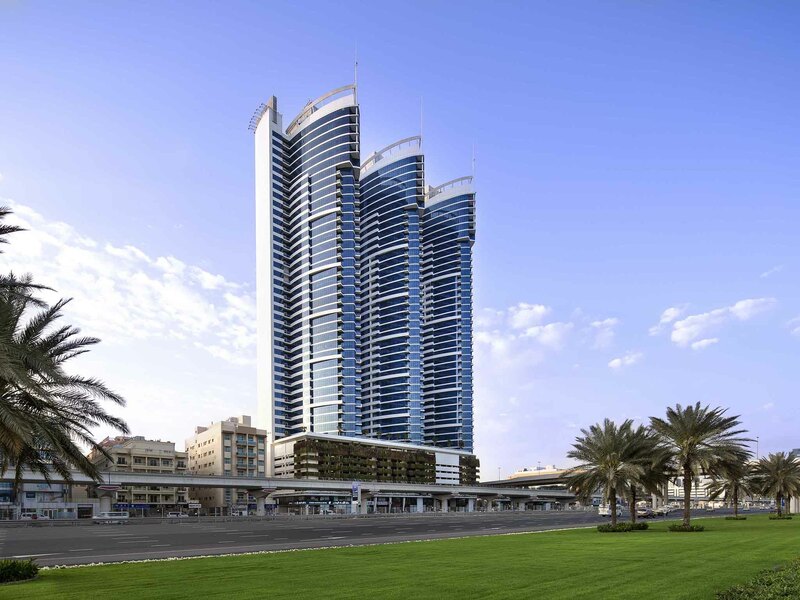 Located within two iconic towers in Business Bay on Sheikh Zayed Road, the hotel provides everything you need for a truly special stay in the United Arab Emirates. Find a restful oasis in the Marriott Marquis, which features plush bedding, modern technology and a marble bathroom. Many of the rooms and suites also provide views of the water or of the Dubai skyline. Enjoy a swim in the outdoor pool or a workout in the fitness center, followed by a relaxed treatment at SARAY Spa. The hotel offers delicious cuisine to suit every taste - from Indian classics to flavorful steaks.The Hotel is conveniemtly located near Dubai Mall, the Burj Khalifa and the Dubai Opera, ideal for those hoping to explore the area. We can also offer other regional departures from Birmingham, Manchester, Newcastle and Glasgow. To confirm your booking we need to collect a deposit payment equivalent to 50% of the total holiday price. When making holiday payments we encourage you to pay online by bank transfer or by debit card.